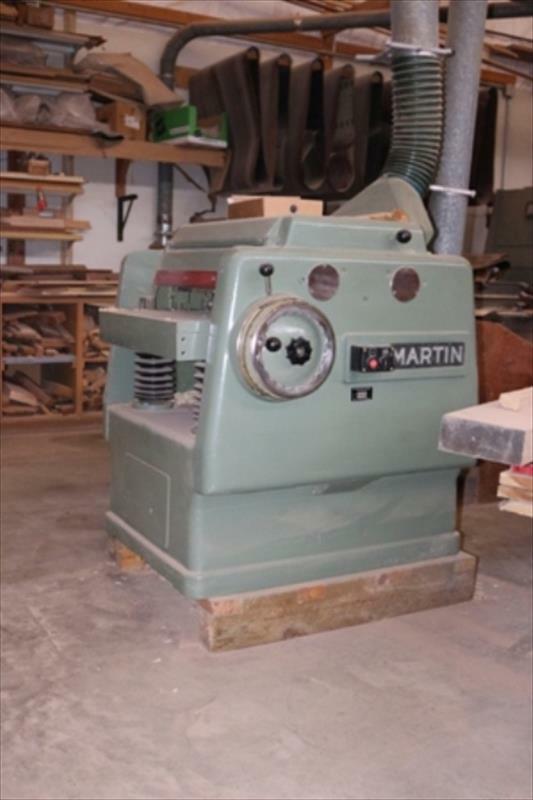 Size: 40" x 36" x 36"
24 3/4" MArtin T41 finish planer, 10 hp 3ph belt drive, variable speed feed, 4 knife head, excellent finish planer, does a beautiful job on all hardwoods. I have used this in my custom woodworking business for 3-5 years planning a variety of fine hardwoods. I hate to part with it. Knife change takes about 20 minutes, very easy & accurate.